Well, it excites me to know that others share my enthusiasm for these crazy posts. And boy, sometimes do I ever feel like I am slowly going crazy. Voting is now open, if you care to help me advance to the next round. While the challenges are certainly demanding, I am having lots of fun. I enjoy that each challenge gives a lot of room for interpretation and creativity so I don’t feel too restricted with what I ‘have’ to do. You know what else I enjoy? Using leftovers in fun ways. The Protein Power Chili that I made for Challenge #6 made a huge pot and quite frankly, I am getting sick of eating bowl after bowl of chili. Sure, I could freeze it, but my freezer is already brimming with goodies (Power Me Up Pumpkin Sesame Cookies and Strawberry Oat Squares, I am looking at you!). I used the chili in place of a pasta sauce in this layered casserole recipe. Directions: Preheat oven to 450F. Peel the eggplants and cut into 1/4-inch slices. Lay on a lined baking sheet and pre-cook eggplant only for about 15 minutes, or until shrivelled (see picture below). Remove from oven and cool. 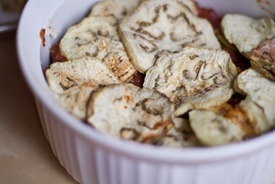 While the eggplant is cooking, slice the zucchini and set aside. 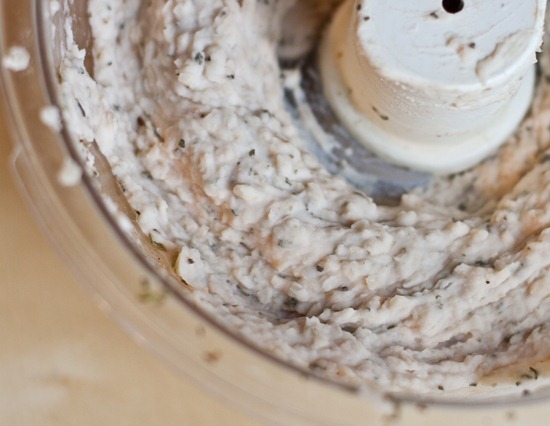 Now prepare your bean filling, by processing the drained beans, herbs, salt, garlic, olive oil, and nutritional yeast (optional) in a food processor until smooth. Gather the eggplant, zucchini, sauce, and bean filling and get ready to layer your casserole. Preheat oven to 425. Grease a mid-sized rectangular casserole dish with oil. 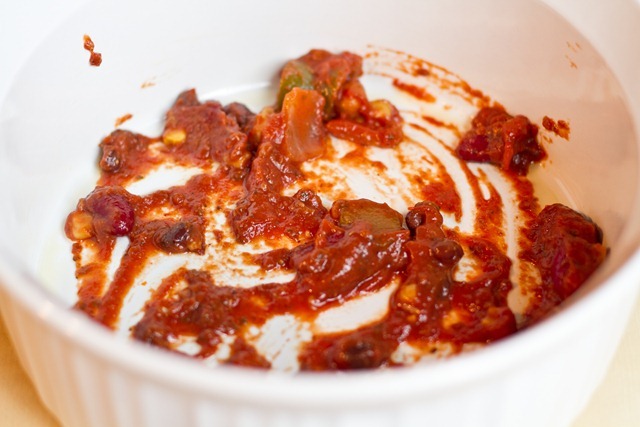 Put a thin layer of sauce in the bottom of the dish as shown below. Arrange 1/3 of the eggplant slices over the sauce. Spread 1/2 of the bean filling over the eggplant, and put half of the zucchini on top. Add a layer of the sauce. Repeat eggplant, bean filling, zucchini, and sauce. 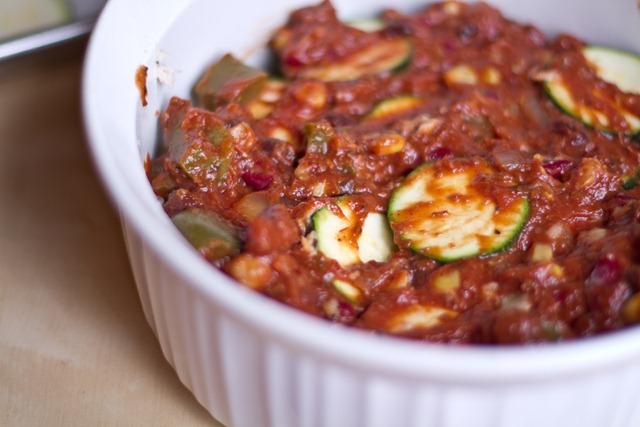 Place the final layer of eggplant over the top and pour the remaining sauce evenly over top, spreading with a spoon. Bake for about 40 minutes at 425F. Once zucchini is cooked remove from oven and allow to cool for about 5-10 minutes before serving. Sprinkle on some vegan parmesan cheese if desired. Makes 4-6 servings. First things first, pre-bake the eggplant until it gets all shrivelled up like my hands after too many dishes. Now make the creamy filling with navy beans, herbs, garlic, and sea salt. The original recipe called for 1 cup of spinach in the creamy filling, however I didn’t have any. I would use it if you have some, but by no means is it necessary for it to work. Lightly oil a casserole dish and spread on a thin layer of chili or pasta sauce. Now add a layer of sliced (pre-cooked) eggplant. Try not to eat them all before using! Or maybe that is just me who loves baked eggplant fresh out of the oven. Now repeat the full set. And finish with a layer of eggplant and sauce! Bake for about 40 minutes at 425F. Let cool for about 10 minutes and serve. This casserole is weird and wonderful and downright crazy, but I loved it. Lots of different textures and flavours. The creamy filling was also quite nice! I almost caught myself thinking the eggplant was a lasagna noodle! 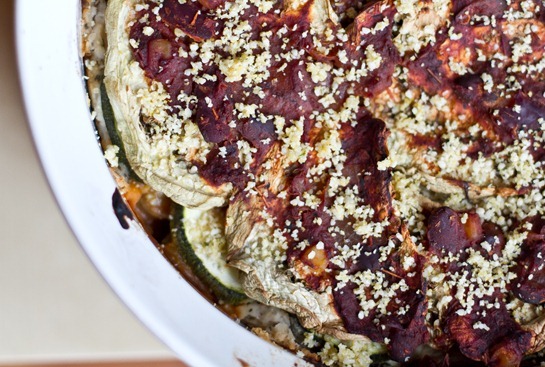 The eggplant really worked in this casserole. I sprinkled lots of Vegan parmesan cheese on top for fun. Now, I shall enjoy a Pecan Pie truffle for dessert and finish up my work for the day. What recipes would you like to see coming up on OSG? 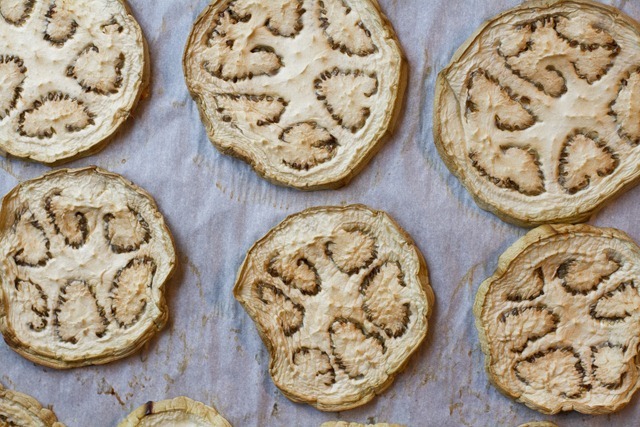 I know you aren’t gluten-free but you are my fav non-dairy baking guru and I’d love to see what wonderful dairy free AND gluten free desserts you could come up with for the holidays! That looks really tasty and perfect for fall! I’d love to see some inventive recipes for different types of squash — we’ve been eating lots of kabocha, spaghetti, delicata, and acorn, and butternut squashes around here and I’d love some new ideas! Angela this looks delicious! I too make a huge pot of chili at a time and after three or four nights of eating chili I am sick of it! I love your desserts — every time I make any of them they turn out wonderful – keep em coming! ash, you know me too well…no daiya please! I made one last night! It had broccoli and a crunchy crust! How about a crazy pancake layered breakfast dish of fabulous goodness!!! With the weather getting so cold I’m all about a hot breakfast these days. I would love to see Vegan Stuffed Shells. It would be awesome to have them stuffed with something besides tofu, but still lots of protein! That looks delicious and healthy! “Weird, wonderful, and downright crazy” concoctions often taste the best! I love how creative your picnic for challenge 6 was!! I have been dying to try to come up with a cookie that includes sweet potatoes, oatmeal, and maple syrup. Think you’d be up for the challenge? Perfect timing! I have been dying to make an eggplant lasagna lately! =) Thanks for the recipe AGAIN Angela! Oh my–you must have me for dinner one day–your recipes are stellar! It’s hard to say what kind of recipes I’d like to see on your blog because you’ve pretty much mastered everything! Maybe some drink recipes like homemade lattes. Or for the holidays, a vegan eggnog would be interesting.. I agree with Heather! I would love a good old fashioned mac-n-cheese. Made healthy of course, but still kid friendly. I would also love a vegetarian version of chicken noodle soup. I can’t quite figure that one out. I don’t think you’ve tried making this yet – vegan tuna noodle casserole. 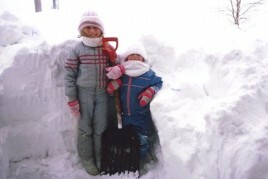 I kind of miss that! I found your site about a week ago and I’m totally addicted to your site. Every morning I love checking to see if you’ve made an update. Your vegan recipes are so creative. I have to try this Casserole! You have my vote for Project Food Blog Challenge! Minimalist vegan meals! Simply and easy lunches and dinners that people with less time(*cough* college students *cough*) can make with limited cooking supplies and time. Or, because I thought this was really weird and I don’t know how it would work…, you could make a vegan souffle! Some holiday recipes would be awesome! I need healthy, not-too-exotic, vegan recipes that will please the family fussypants! No small task, but I have faith in you, haha! I would love some holiday recipes! I just made the protein power chili. It was sooo good! I pack a lunch everyday so some new lunchbox items that keep without refrigeration would good. I would love to see some vegan snacks that are fast to make and easy to grab on the go. Maybe vegan protein bars? I love all the recipes you post and am excited to make the caserole!!! I love green bean casserole and this will be the first holiday that I am unable to eat it. I am interested to see if you could create a vegan clone to this tasty meal?? I never comment but always read and love your blog. Your project food blog entries are amazing! I have been wondering about a vegan version of french onion soup. Since being vegetarian, I really miss it! yummm this looks good! i only started eating eggplant a couple of months ago but i don’t know why i waited so long! Oh my you come up with the most creative recipes…typically I end up drooling all over my computer. I know you aren’t gluten free but I would love to have some new recipes to mix up mine. 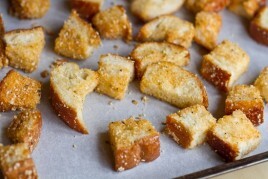 Perhaps some gluten free holiday recipes :D I know it’s a challenge… but I am sure you can succeed. 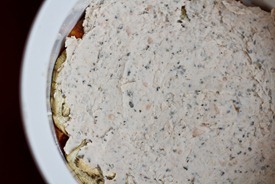 Awesome recipe — I made a whole bunch of white bean dip a couple days ago and didn’t know what I’d do with it all! Seriously, the recipes that come up on this blog are too perfect.. it’s a little freaky sometimes! I would love to see some fall salads. I love the type with a warm dressing or topping that wilts the greens a little. Mmmm. A vegan fruit cake for Christmas. Youre apple chips got me thinking of vegetable chips made of a variety of vegetables! would love to see that! leftovers are fantastic! Ever chef I’ve worked with says a dish is always tastier when its recycled. I work in food and you seem to have covered so many food bases already on osg. Can you give me a recipe to find prince charming? This recipe looks great! I am a regular reader and rare commenter, but I had to pipe in with a recipe request. 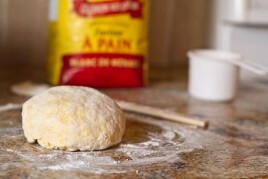 Check out this awesome idea: http://www.thekitchn.com/thekitchn/breakfast/fall-recipe-noknead-pumpkin-rolls-with-brown-sugar-glaze-129477. If you are not sick of pumpkin yet, a healthier vegan version of these would be amazing! Oh my goodness… you’re a genius! This is exactly what I was looking for: my (non-vegan) mom was just telling me that I won’t be able to eat tasty lasagna anymore, but I think this casserole would blow her socks off! 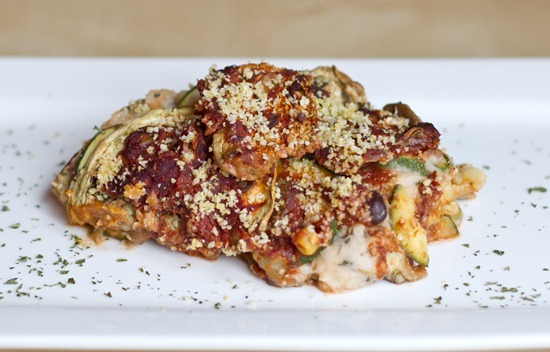 Not being the biggest pasta fan, these noodless casseroles/lasagnas are right up my alley. This looks so great Angela! that looks soooo good! I have been experimenting with ways to incorporate more vegetables in our dinners. Thanks for the wonderful recipes! i just found your website today and i LOVE it!!! and have shared it with several raw/vegan friends. Looks awesome, per usual Ange :) I am definitely liking your fall/winter recipes that are all warm and comforting versions of non-vegan classics. I have a question for you about Nutritional Yeast, I bought some a few weeks ago but haven’t really used it much…what are you favorite ways to incorporate it into your cooking and how often do you use it? I see your vegan parmesan cheese pop up often, is that my best bet for a good starter recipe? I would LOVE to see more recipes for baking sweets with ingredients that the average cook has on hand. Your recipes are BEAUTIFUL and everything I’ve ever tried has been delightful, but I almost always have to go buy something in order to make something that catches my eye. It’s not a criticism! Just a suggestion. Thanks! yessss… could totally do veggies this way. Holy moly that looks amazing! I love making chili when its cold but get tired of it before I make it to the bottom of the pot. I am making this one stat! That casserole looks so good!! Love this recipe! I have a pureed bean sauce with broccoli and zucchini already pureed into the sauce that has been sitting in my freezer that I could use for this recipe! 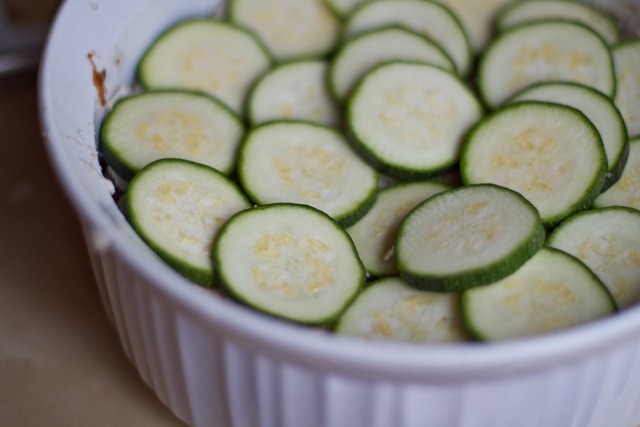 Although I think layered zucchini when I already have zucchini pureed in the sauce might be a bit much – what do you think? hmmm I guess it depends how much of a zucchini taste the puree has…I find generally, zucchini is quite light tasting in flavour so it might work? Thanks Angela, you are right, the zucchini flavour is not too strong in my sauce so I will try this recipe out my family this week. Thanks again! 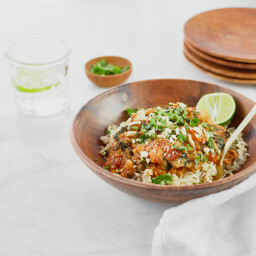 Love your use of leftovers! The creamy bean layer looks especially good, and might be tasty in a lasagna dish too! Can’t wait to try this! I’d love to see the recipes from the food blog challenge 6! Unless I missed the memo and they are somewhere! They all look fabulous! ‘cept for the cakes ….those are coming up in a week or two. I love veggie only lasagnas!! I would like to see some recipes for candies with the holidays coming up. I usually make fudge and truffles but I really need some recipes that are cleaner! This looks so good! Cant wait to try the recipe out! I would have eaten all the eggplant before it made it to the casserole dish, lol. I LOVE roasted egg plant. Looks delish! Now that looks great. Wow. 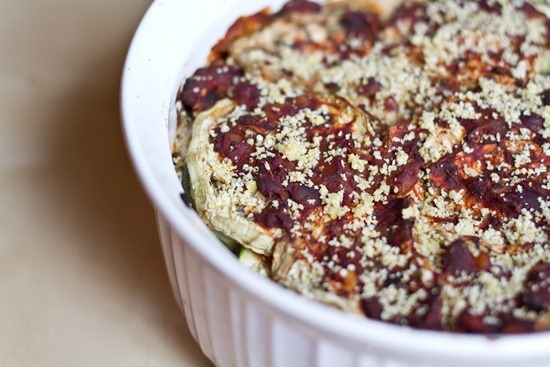 I’m going to make your cheesy savoury oats tonight… I can’t wait!! You are a cooking genius! I hope you’ll do a caramel/candied apple post! I can only imagine the clever toppings & decorations you would think up! 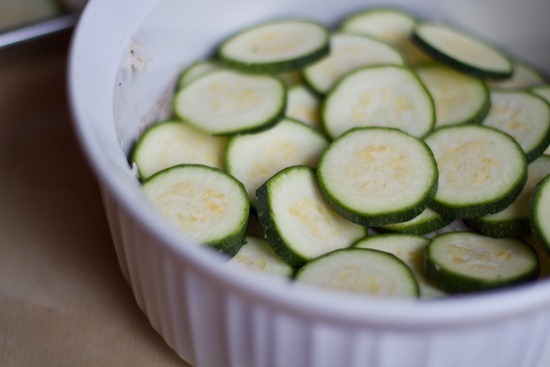 Why don’t you roast the zucchini too in this recipe? its funny it reminded me of cheese filling too! Not so much taste wise, but something about it I liked. It was creamy and lovely. Angela, this recipe looks delicious! I can’t wait for you to post about your Cake in a Jar Parfaits. The Triple Layer Pumpkin Pecan Cheesecake was speaking to me. You definitely got my vote. As for what I’d like to see coming up on OSG, how about a Vegan Chess Pie (oh how I miss those!). I asked my husband his opinion and he immediately responded, “Vegan Chicken Fried Chicken!” Now that’s something I haven’t tried to conquer in the kitchen! Your creativity keeps inspiring me! I noticed your a Parisian at heart after having it stolen by your trip to Paris, which is like home to me I visit as often as I can. I am litterally begging you to re-create some of the buttery melt in your mouth croissants, crispy fresh baguettes, Tarte Au Citron but most importantly I would love for you to try and make Creme Brulee! I’ve tried countless times to make the dessert but I fail but then (truth be told) without out instructions Im an awful cook. thanks as always for sharing your creative recipes and mouthwatering pictures! Hmmmmm have you made fudge before? I think you should make some, and some peppermint bark for the holidays!!! Ahhh, I wish you could be my personal chef! I just want to eat everything on the page. yum! 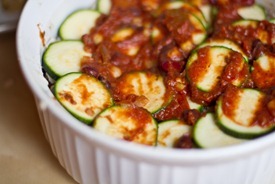 The casserole looks so good, it is definately going on my must make list. 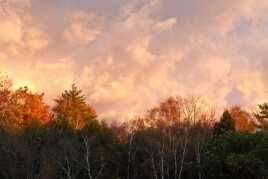 How about a lightened up pumpkin pie, I am trying to find a good recepie to make for thanksgiving. Your picknic looks so so so good, thank you for all of the wonderful recepies. I made sure to put my vote in for you yesterday. Maybe a tortilla soup, or something Mexican. Also, maybe a ooey, gooey, brownie! I just made this recipe today and it was sooo delicious! I love that it had a creamy filling without tofu! :D Thanks, Angela! This looks delicious, definitely on my menu for the week. Cannot wait to try it. 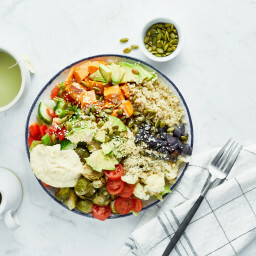 BTW I love your site, as a new vegan I am enjoying the recipes. I also love creating in the kitchen though I don’t have much time right now. 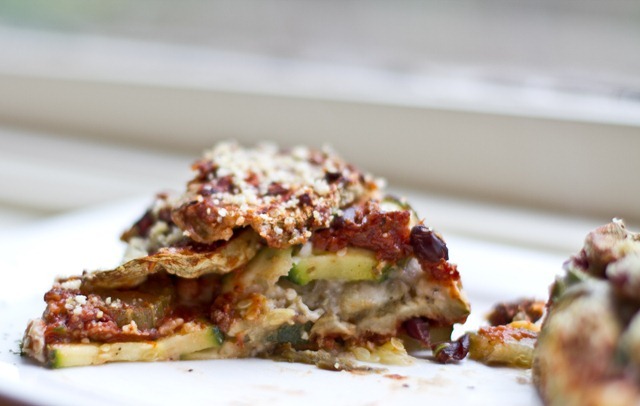 I LOVE using zucchini and eggplant in place of lasagna noodles, although what I’ve made in the past contains dairy. I’m thinking about giving it up. This looks delicious and I can’t wait to try it! This dish is fabulous!!! I have made it so many times and always get rave reviews. I’d like to double (or triple) the recipe to serve as a main dish at a dinner party – how much should I increase the cooking time? Thats a good question Kate! Im not to sure, I would just keep an eye on it and check it every 5-10 mins or so. I just made this recipe last night (it must be gratifying to know that after 2 years, this recipe is still delighting strangers! )…and I have to say that bean spread is awesome. I think I liked it just as much, if not more, than hummus. And I love hummus. So thanks, you’ve just given me a new favorite spread for veggies and crackers (and spoons, and fingers…). This recipe is great! I added couple extra things the second time I made it and had some serious success with the boyfriend. When I finished the layering I added some sliced olives on top with a sprinkling of nutritional yeast. I also sauteed some cremini mushrooms and onions which I added into the layering process, but I wasn’t as pleased with it. This must be an older recipe, but I just made it tonight. Delicious! 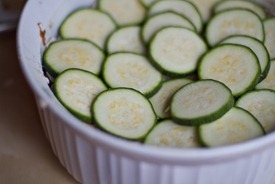 My husband liked it too :) I sliced my zucchini the long way, sort of in ribbons. Not that it made a difference! Thank you. I am new to your blog, but I love everything I ‘ve made from it. So good. I love this recipe! 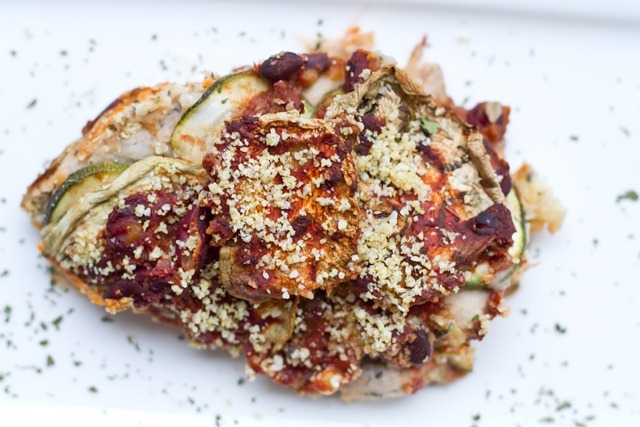 Finally a recipe that gives all of the taste of cheesy lasagna without the fat and calories! Thanks for sharing!!! 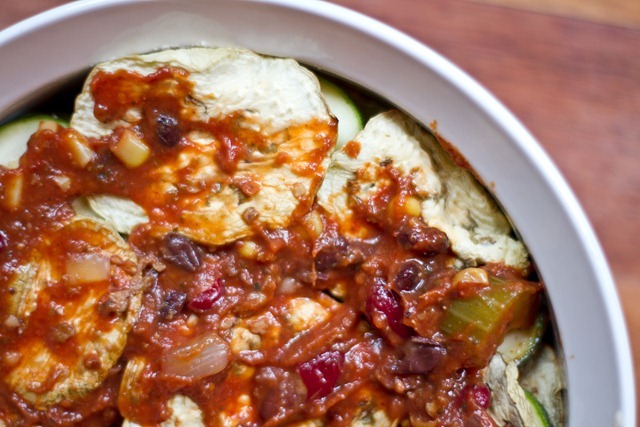 This casserole is amazing! I made it the other night with a homemade pasta sauce. The only problem I ever have is cooking eggplant. . .I feel like I must do it wrong every time. I either add too much oil or not enough and in this case they came out dry from the oven and they stuck to the foil. Any suggestions on cooking them in the oven perfectly so I’m not wasting half of them? Hands down the best vegan recipe I’ve had! Hi, I just finished preparing the casserole and its 10:00am my husband doesn’t come home from work until 7:00pm. Wondering if I should bake this now and reheat later or put it in the fridge and bake in the evening! Would it get soggy? Ps. You are truly my inspiration. I became vegan not too long ago and boy am I glad I have found your blog!!! Hey Natasha, I think it would be fine either way (although I haven’t tried either) – good luck and thanks for your kind words! This actually turned out great and tasted just like lasagna to me. I was a little nervous as I’m not a huge eggplant fan but it worked out in this recipe, Thanks! I know this is 3 years too late, but I just found your blog a few months ago and got around to making this tonight. So delicious.. love it. Next time I’m doubling the recipe so that I have lots and lots of leftovers! Hey Angela! I make this at least twice a month and I’m wondering if you think it would freeze well. 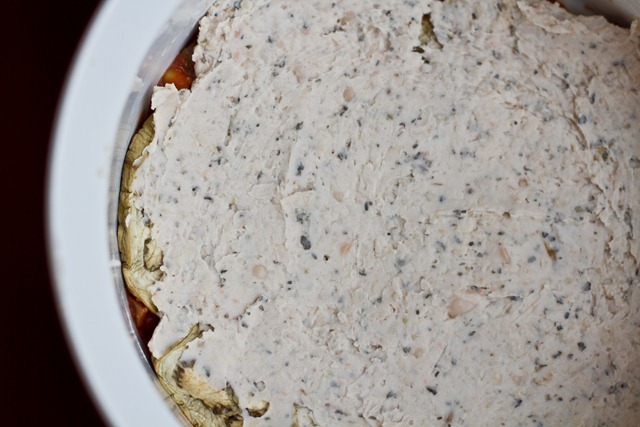 Would it be better to freeze before baking the whole casserole, or after? This was Bliss. Everybody should try it. I added a bit more spinach and water to the bean puree’, yummmmmmm. I had three garden eggplants to use up and pinned a bunch of recipes, but this one won. I am so glad as it was really fun to make and it smells amazing baking. Thank you especially for the great instructions and pics. Really helpful for a new cook. My husband made this tonight for dinner; it was WONDERFUL!!! Thanks for sharing your recipes with us, Angela. Your recipes are a godsend to a vegetarian person on a low-carb diet – please never stop updating this blog if possible, haha! How do you find so many great ideas for recipes? Thanks for the recipe! Should this dish be baked covered or uncovered? As the only soupy part is the pasta sauce, I’d assume coveted, but the recipe didn’t specify. Hi Toni, It’s baked uncovered – hope this helps! Thank you so much for this recipe! I made it this weekend AND my non-veg fiancé loved it as much as I did! I have your cookbook and always follow your blog! Thank you for all the inspiring you do! so good! I can’t believe how rich the bean sauce is! I’d love to see a butternut squash/shallot ravioli recipe! The ones that I’ve seen all call for a butter sauce. Love your recipes as usual. 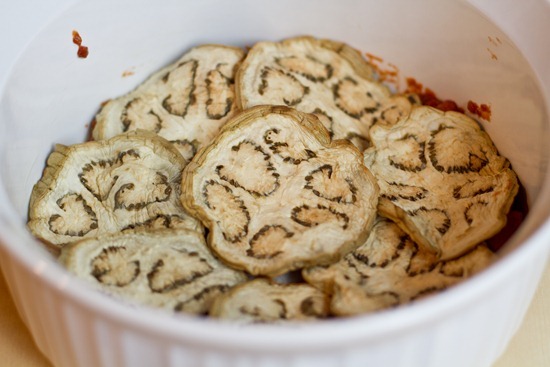 This is just about my favorite vegan dish ever and it is amazing for a dinner party with meat eaters as it can serve as a side or a hearty entree. I LOVE the tofu cream sauce. Just amazing. with water and pat dry. 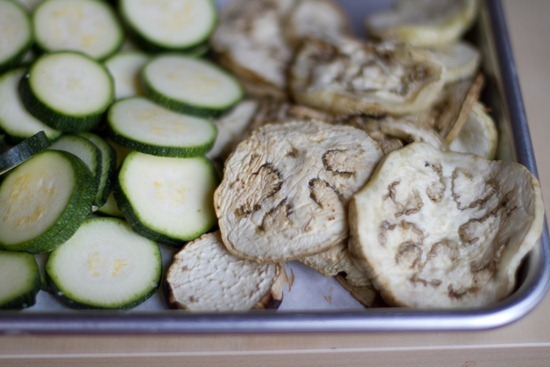 Place each vegetable on a separate baking sheet. with oil. 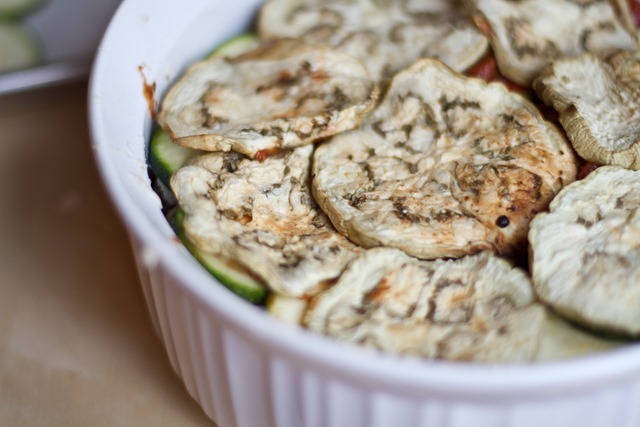 Roast the zucchini and eggplant for 15 minutes or until tender. browned. Allow the vegetables to cool. sauce, and half the bread crumbs. 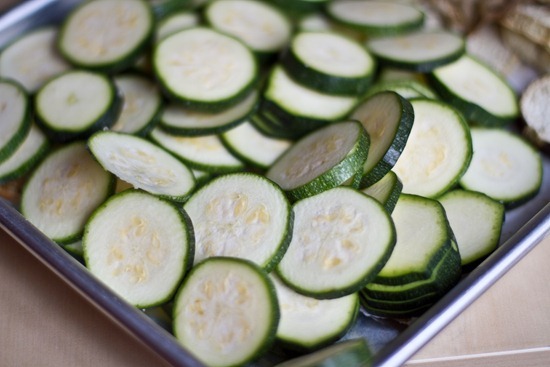 Spread all the zucchini on top of this. day!!!! Do not freeze because of the tofu in the topping. I made this tonight, super delicious! I made Audrey Hepburn’s favorite Pasta Pomodoro sauce from toryavey.com. I did use spinach which made the bean puree a lovely green color. 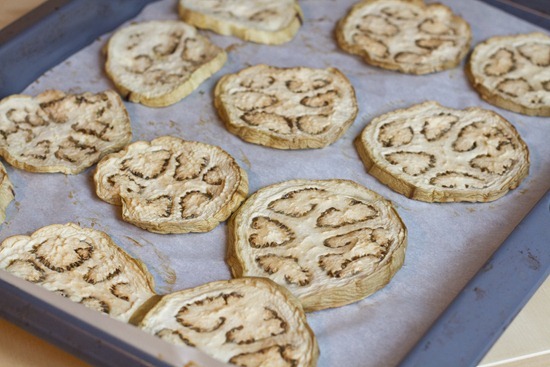 I dipped the eggplant in egg whites and then fried them in a lightly sprayed olive oil pan. I also added 1 layer of wheat pasta noodles after the 1rst eggplant layer. Love this recipe, thanks. This is going to sound really dumb but I am not a cook, like AT ALL. Is pasta sauce something you buy or you make? Sorry, I am new to this cooking thing. Hi Angela…. 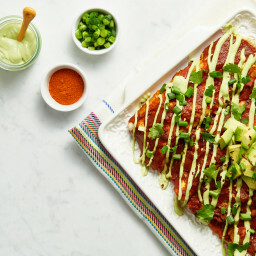 I love the Eggplant Casserole Recipe but I was wondering if I don’t have a food processor how might I make the navy bean goodness for the filling? Any suggestions?…. Thanks Again, by the way I made the Vegan Bowl which was DELICIOUS! This recipe is ingenious! Tastes great, filling, and rich in nutrients and fiber. After I listed the ingredients to my husband, he was willing to try (something new), and he said it was yummy! Thank you! I made this today, it turned out awesome! Where does the spinch fit into this? Hi Annie, the spinach is an optional addition to the creamy bean puree filling. 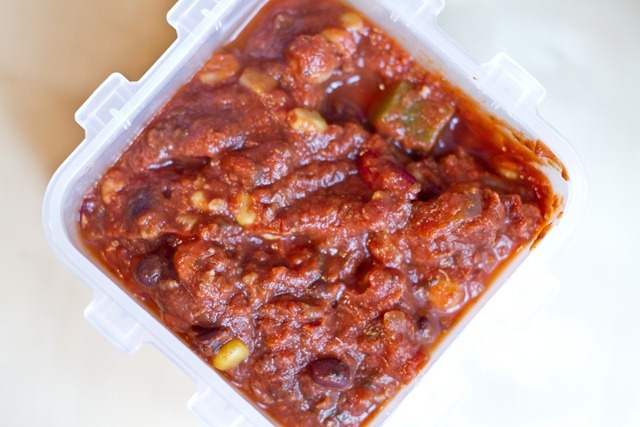 I’d recommend giving it a try if you have some on hand, but have made the recipe without and enjoyed it just as well without that extra ingredient! I MADE THIS AND IT IS AMAZING. Thanks so much, your recipes never dissapoint, even when I improvise on them. I substituted star anise and celery seeds for salt, and added no oil to the recipe, to make it even healthier. I will feast for the next two weeks! It’s so wonderful to hear that, Laurel! I’m glad you and your husband enjoy the recipe. We’ve made this recipe multiple times and it’s always been a big hit at dinner parties and potlucks. The first time we didn’t have enough veggies for all the layers so just a note that it takes about 3 large zucchinis and 2 big eggplants. We also like using 2 cans of navy beans to have more filling. I could eat this every day! Thanks for an awesome recipe! I made this and the eggplant was so mushy it almost disappeared! What did I do wrong? Hey Doe, Oh I’m wondering if it was sliced too thin perhaps? Angela, this has been one of my favorite recipes for years. I am now 17 weeks pregnant and have been really into carbs (it’s what the baby wants…), so I added a few layers of lasagne noodles! It was absolutely fantastic. I ate it once a day since Sunday, and am sad that today is my last day with it haha. Thanks for sharing the recipe all those years ago!